Color-Coded Microfiber Bulk Detailing Towels make it easy to distinguish which towel is for each major detailing task, like wiping off waxes and cleaning door jambs. With all the different microfiber towels available, the selection can make your head spin! Which one do I use for paint? Which one do I use for wheels? Rest assured we�re here to make your detailing life easier with our cost-effective Color-Coded Microfiber Bulk Detailing Towels. Each package contains 12 towels in three different colors. Color-Coded Microfiber Bulk Detailing Towels are 16 x 16 inches and weighs in at a not-so-feathery 400 gsm. This size and weight makes Color-Coded Microfiber Bulk Detailing Towels perfectly sized and weighted for a handful of different detailing tasks. Each towel is dual-sided, one featuring a super-soft nap with long microfibers, perfect for polishing, and the other with a flat weave perfect for buffing off compounds or polishes. 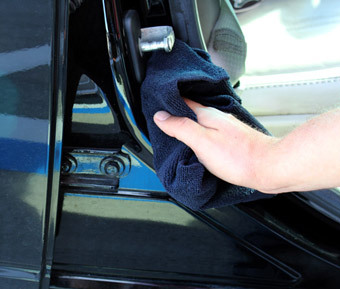 Fold one of the towels four ways and you have a perfectly manageable size for wiping off polish, cleaning door jambs, dusting your dashboard � the options are endless! 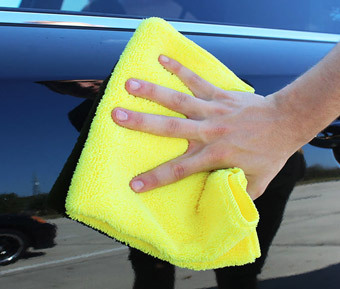 Every detailer knows that it�s good practice to dedicate microfiber towels for specific detailing tasks. Whether you�re just starting out or simply building your collection of quality, automotive-grade microfiber, our Color-Coded Microfiber Bulk Detailing Towels make it easier than ever to dedicate a towel for each specific detailing task. Use Color-Coded Microfiber Bulk Detailing Towels on paint, glass, wheels, dashboards, chrome, door jambs, and any other surface. 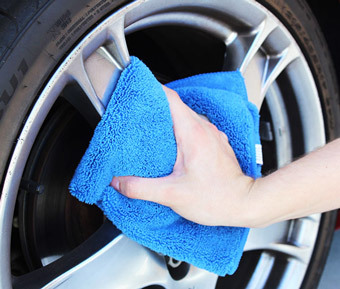 For general cleaning in and around your garage and vehicle, you can�t beat the value.